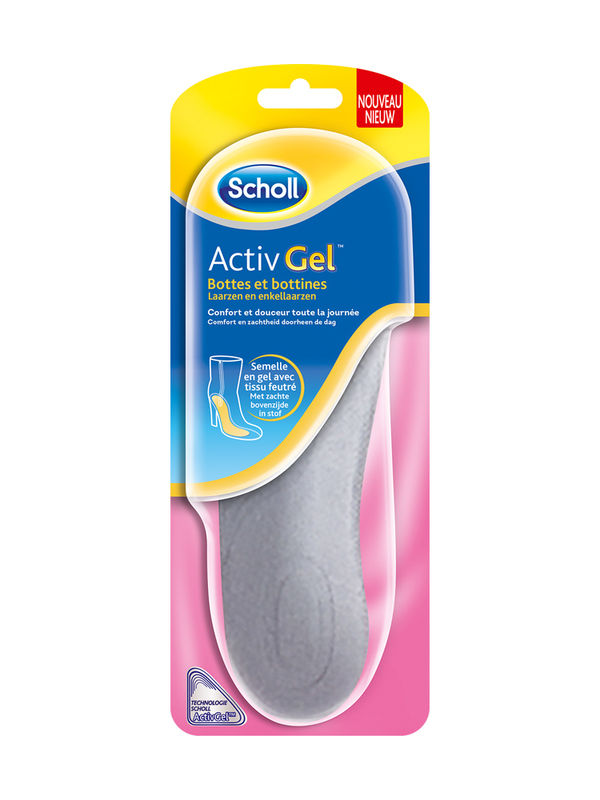 Scholl ActivGel Boots Soles 35-40,5 1 Pair ensures an absorption of micro-chocks and helps prevent discomforts in boots reducing the excessive pressure exerted during the walk or during your daily activities. The Scholl ActivGel technology of high performance supports the foot arch and the heels thanks to the very firm gel and felted fabric and brings an amortize of chocks thanks to the mild gel. The sole with ergonomic design ensures an efficient spread of the impacts and pressure for an optimal comfort all day long. These soles are adapted to the boots. Remove the plastic film and find the marks indicating which sole is the left and which sole is the right. Place the sole in the corresponding shoe, adhesive side in the shoe. Insert the sole in the shoe, aligning the heel of the sole with the back of the shoe. Replace it after 6 months of use or when you see first signs of usury. To remove the sole, gently and slowly get off the sole from the shoe. Indication: To absorb micro-chocks and help prevent the discomforts in boots.